On Christmas Day 1847, a group of German-speaking settlers, mostly from Pennsylvania, met and founded the German Evangelical Lutheran and Reformed Church of Granville Township. By June 1849, these settlers had built and dedicated a log church on the site just south of the West Granville Cemetery, eventually renaming the congregation Salem Lutheran Church. 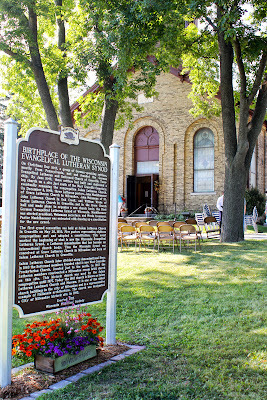 On December 8, 1849, three Lutheran pastors, John Muehlhaeuser of Grace Lutheran Church in Milwaukee, John Weinmann of St. John Lutheran Church in Oak Grove, and William Wrede of Salem Lutheran Church in Granville, met in the Grace Church hall and made plans to organize a new church body, the First German Evangelical Lutheran Synod of Wisconsin. Muehlhaeuser was elected president., Weinmann secretary, and Wrede treasurer. Pastor Muehlhaeuser was entrusted with drawing up a constitution for the new synod. The first synod convention was held at Salem Lutheran Church in Granville on May 26, 1850. 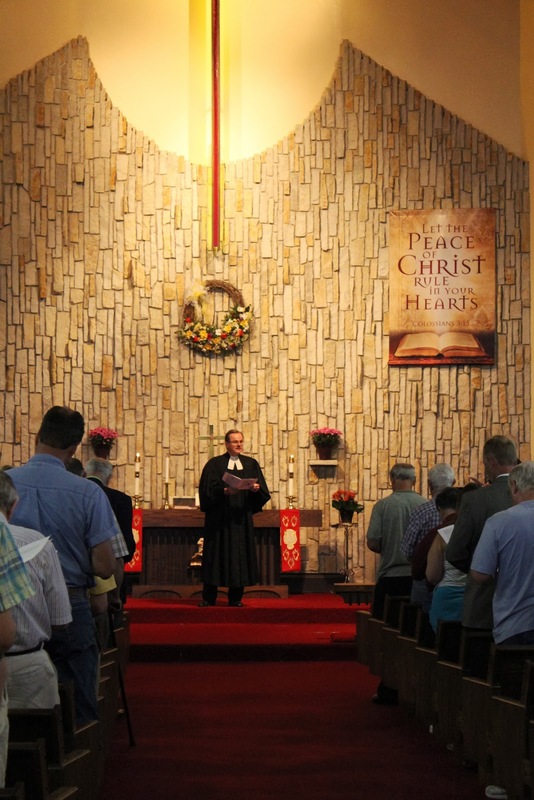 Five pastors representing eighteen congregations met and adopted a constitution. 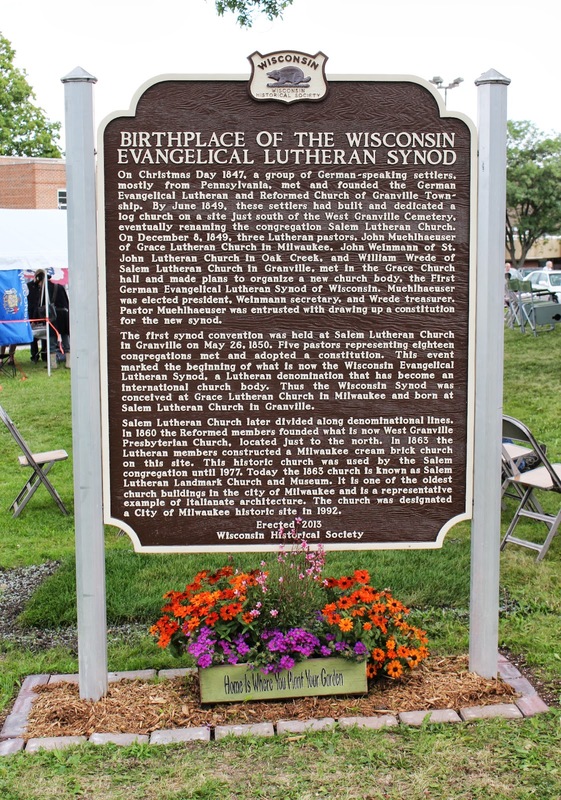 This event marked the beginning of what is now the Wisconsin Evangelical Lutheran Synod, a Lutheran denomination that has become an international church body. Thus the Wisconsin Synod was conceived at Grace Lutheran Church in Milwaukee and born at Salem Lutheran Church in Granville. Salem Lutheran Church later divided along denominational lines. In 1860 the Reformed members founded what is now West Granville Presbyterian Church, located just to the north. In 1863 the Lutheran members constructed a Milwaukee cream brick church on this site. This historic church was used by the Salem congregation until 1977. 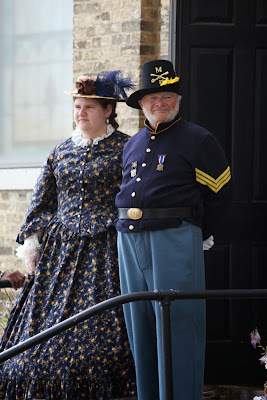 Today the 1863 church is known as Salem Lutheran Landmark Church and Museum. 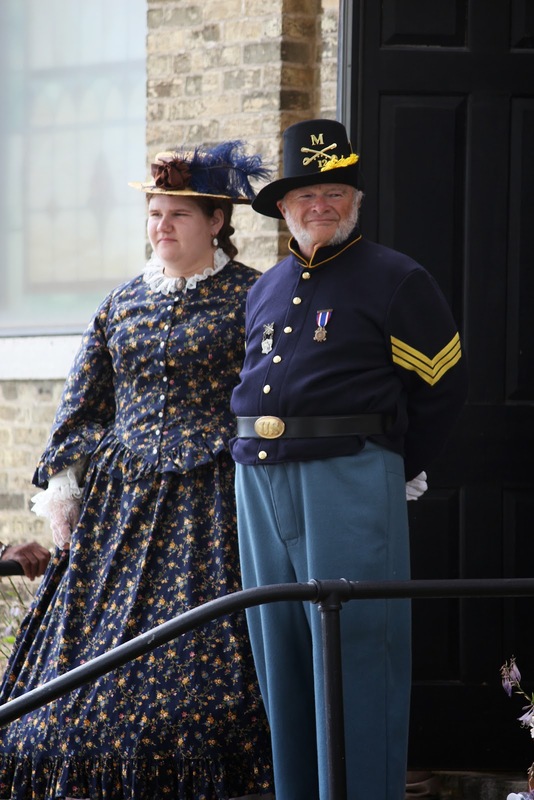 It is one of the oldest church buildings in the city of Milwaukee and is a representative example of Italianate architecture. The church was designated a City of Milwaukee historic site in 1992. 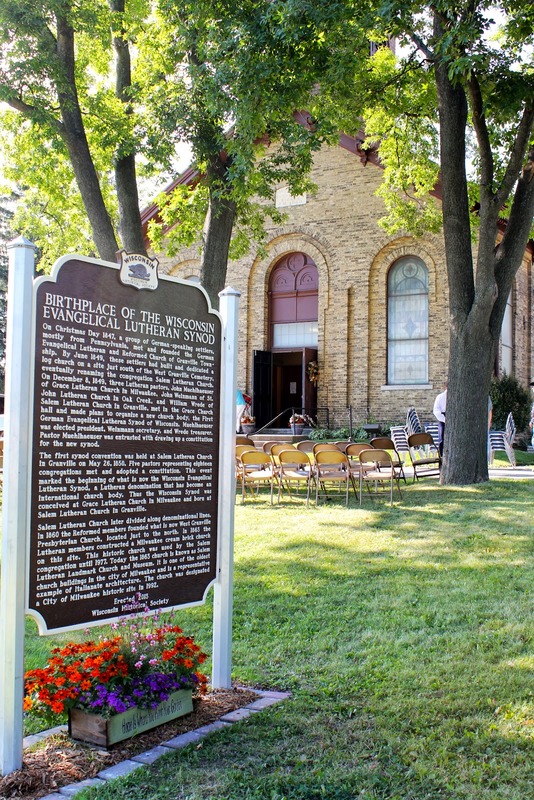 The marker is located at on the grounds of Salem Church, 6840 North 107th Street, Milwaukee, Wisconsin 53224. 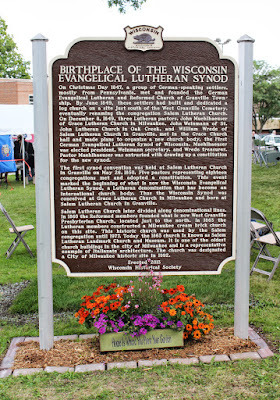 Welcome "Birthplace of the Wisconsin Evangelical Lutheran Synod". This marker is so new, it hasn't yet been added to the List of Wisconsin Historical Society Historical Markers. UPDATE: The marker has been added as Marker 549. Today, August 10, 2013, I had the privilege of attending the 150th Sesquicentennial Celebration of the Landmark Church, which included a dedication of the historical marker. See all 109 photos at the Wisconsin Historical Markers Facebook page. If you do stop by, please "Like"me! The ceremonies started with a 9:30 a.m. church service. the organist was accompanied by trumpets! The music welled the soul! The church was built in 1863, during the height of the Civil War. 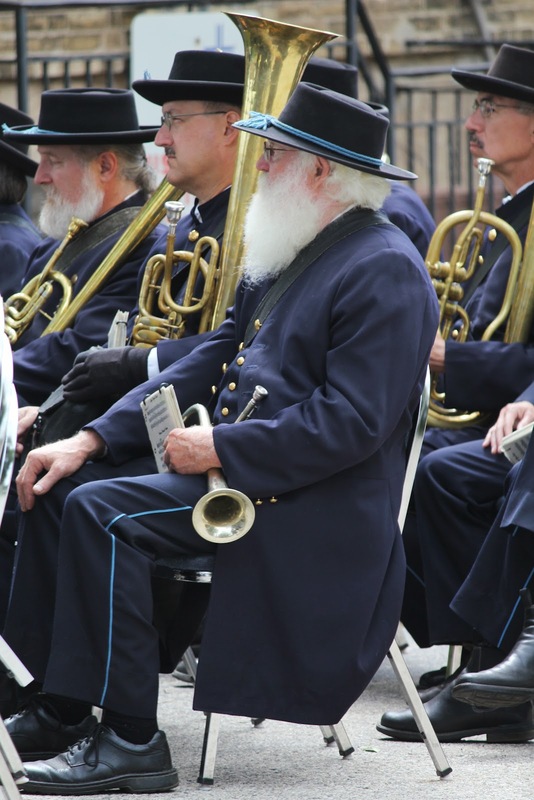 These are actual period instruments! Yes, over 150 years old! What a treat to hear the music of the First Brigade Band! !